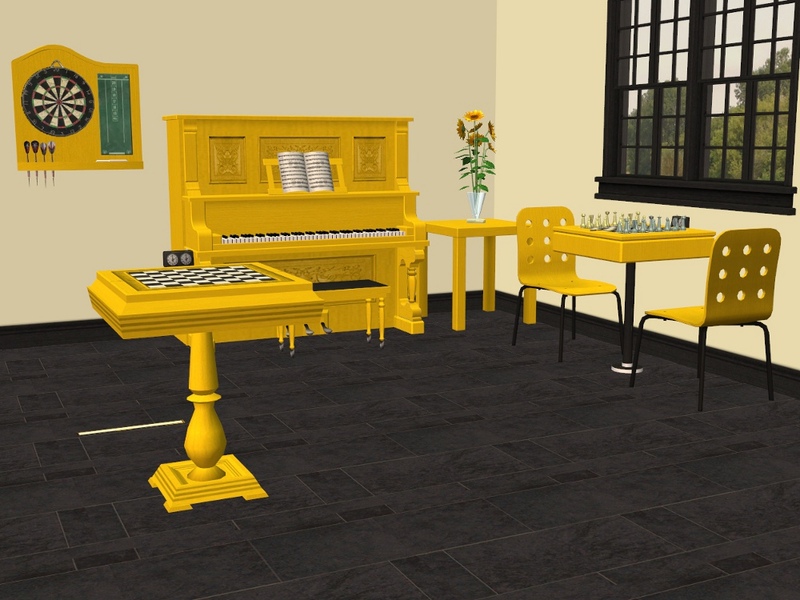 Burled Wood Dartboard, Chimeway & Daughters Saloon Piano, Grand Parlour Chess Table and King for a Day Outdoor Chess Table in LACK Colours. 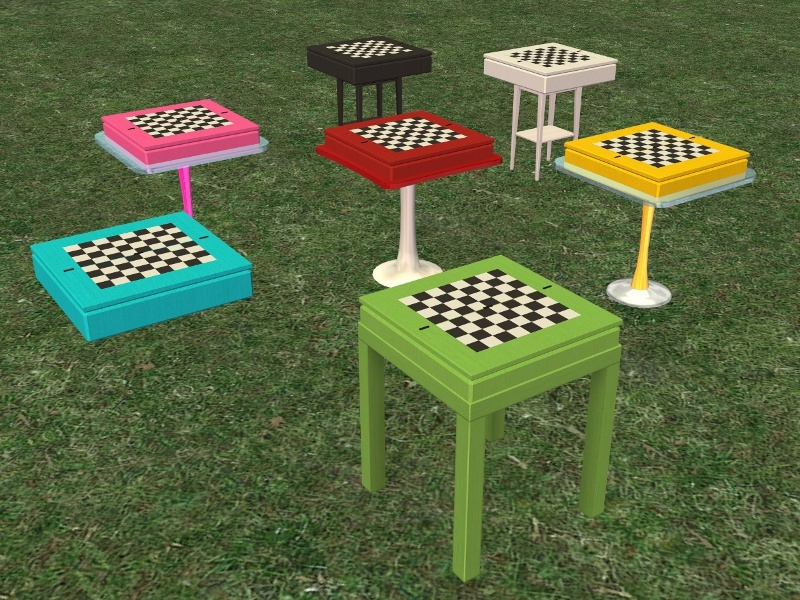 BONUS: I'm throwing in a Legless Chess Board, it's slaved to the King for a Day Outdoor Chess Table and using moveObjectsOn will sit on a dining table, or you can have it just float in the air. 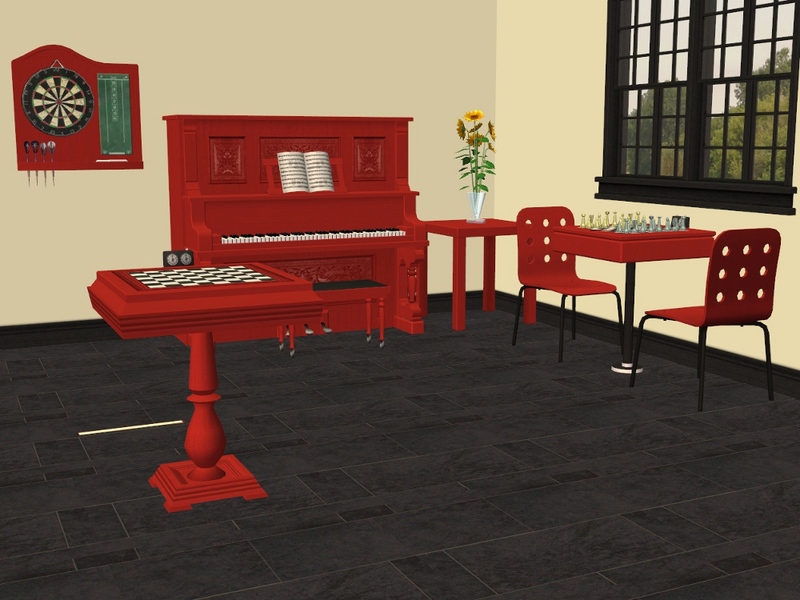 Looks great, I am especially pleased with that legless one - sometimes the chess table just does not GO with my houses. Thankyou so much for the Legless one! This makes me very happy! 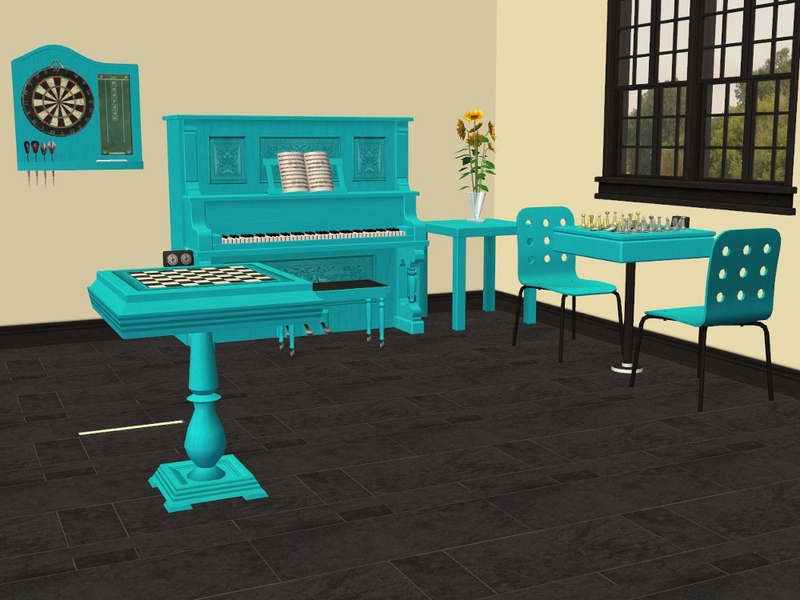 When we went looking for a piano to buy some years ago for my daughter we found a blue piano similar to the Maxis one, which we considered purchasing. 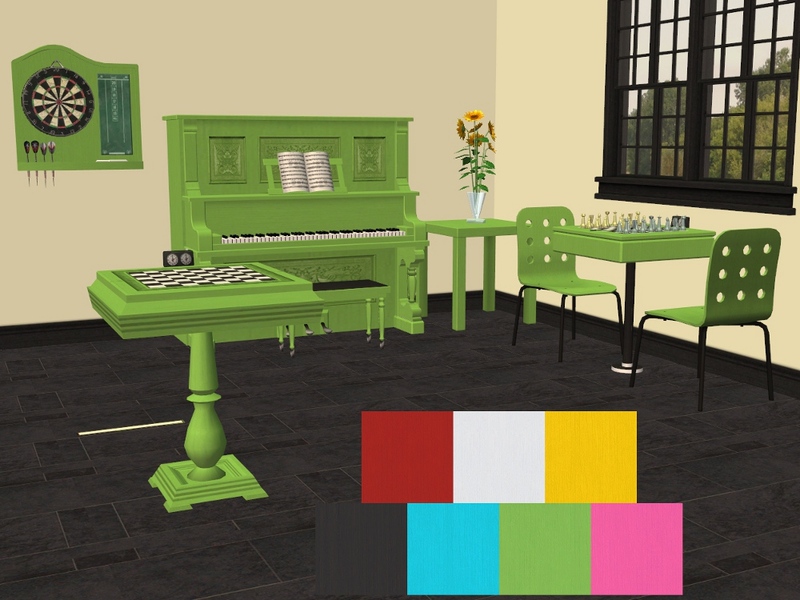 I'm glad we didn't buy it but we weren't really going for the 'look' of the piano but the playability of it. We now have a really nice piano, an Mini Evestaff - makes a lovely sound when the right person is playing it - sadly that's not me!